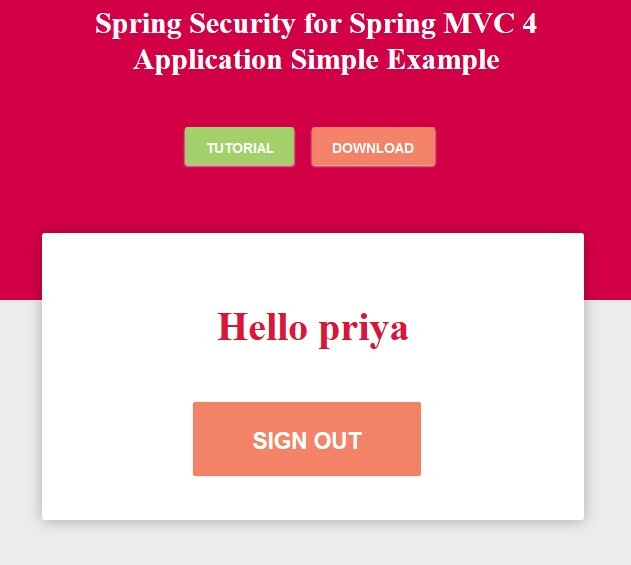 I am going to explain how to use Spring Security in a Spring MVC Application to authenticate and authorize users against user details stored in a MySQL Database. In one of my articles, I explained with a simple example how to secure a Spring MVC application using Spring Security and with Spring Boot for setup. 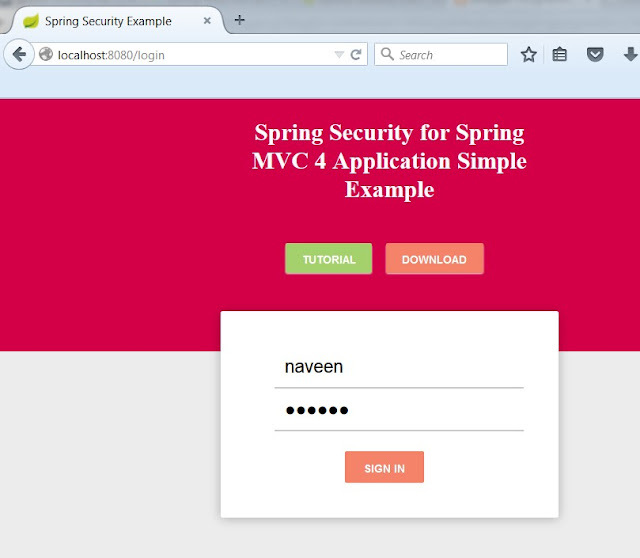 I am going to extend the same example to now use JDBC Authentication and also provide Authorization. 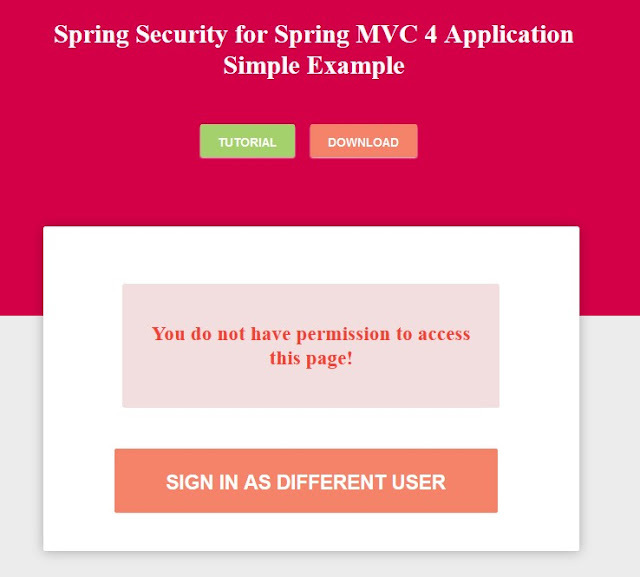 To be more specific, in this article I am going to explain how to use Spring Security in a Spring MVC Application to authenticate and authorize users against user details stored in a MySQL Database. I am not going to start from scratch this time, in stead use the existing example from my previous spring security tutorial and modify it to make it fit to our current scenario. So, you can have a look at the article real quick and come back here. 1. First of all download the existing application from here. 2. 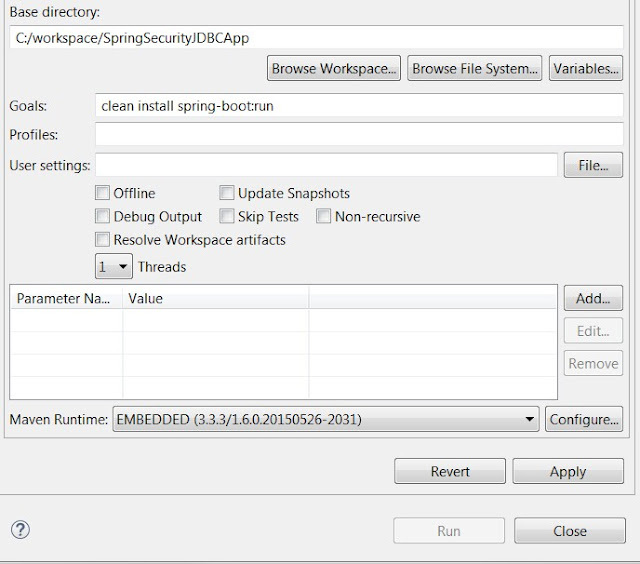 Import project to eclipse using the Import wizard. 5. 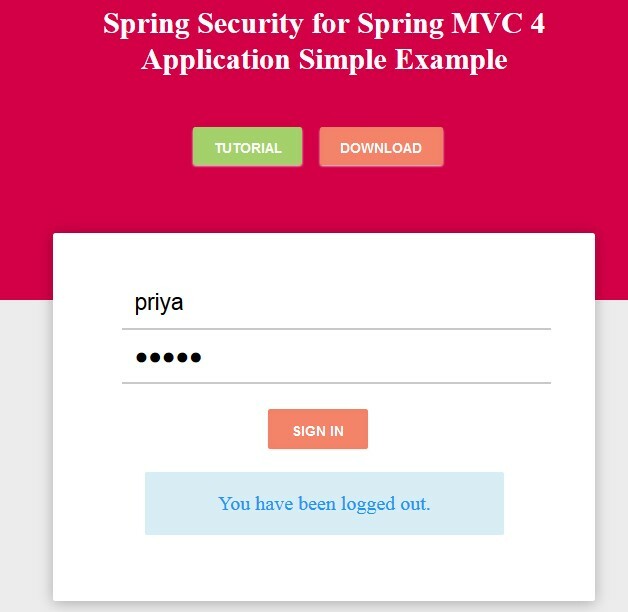 Now we have to provide a definition to the mysql datasource in our MvcConfig class which has all necessary information to connect to the database we created before. 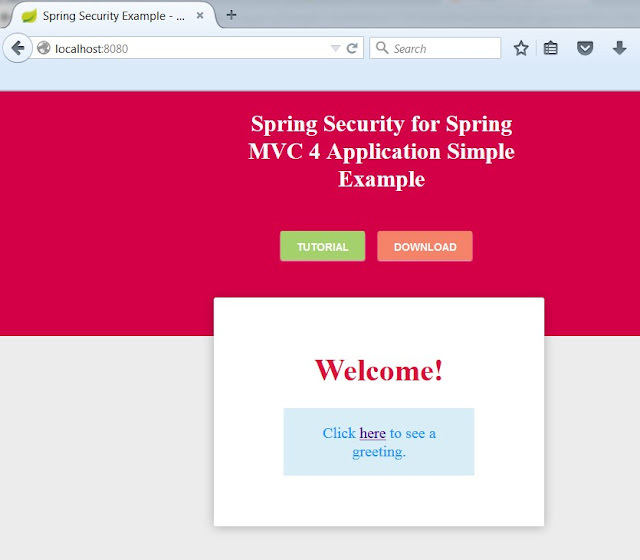 Note that I have added one more line to addViewControllers method to register a view for "403" (access denied) page. This page will be displayed whenever an user tries to access a page he/she is not authorized to. 6. Next we have to modify the security configuration class to use the jdbc datasource we have defined for authenticating and authorize users. Next we set up two queries for AuthenticationManagerBuilder. One for authentication in usersByUsernameQuery and the other for authorization in authoritiesByUserNameQuery. 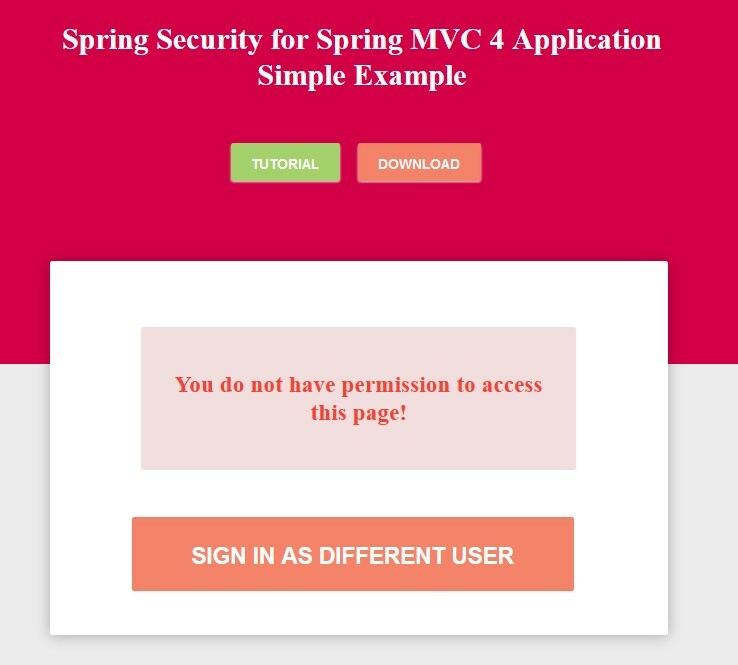 Finally we configure HttpSecurity to define what pages must be secured, authorized, not authorized, not secured, login page, logout page, access denied page, etc. One important thing to notice here is the order of configuration. Configuration that is specific to certain pages or urls must be placed first than configurations that are common among most urls. 7. Finally, write a jsp page to be displayed whenever access is denied to an user. <h1>You do not have permission to access this page! 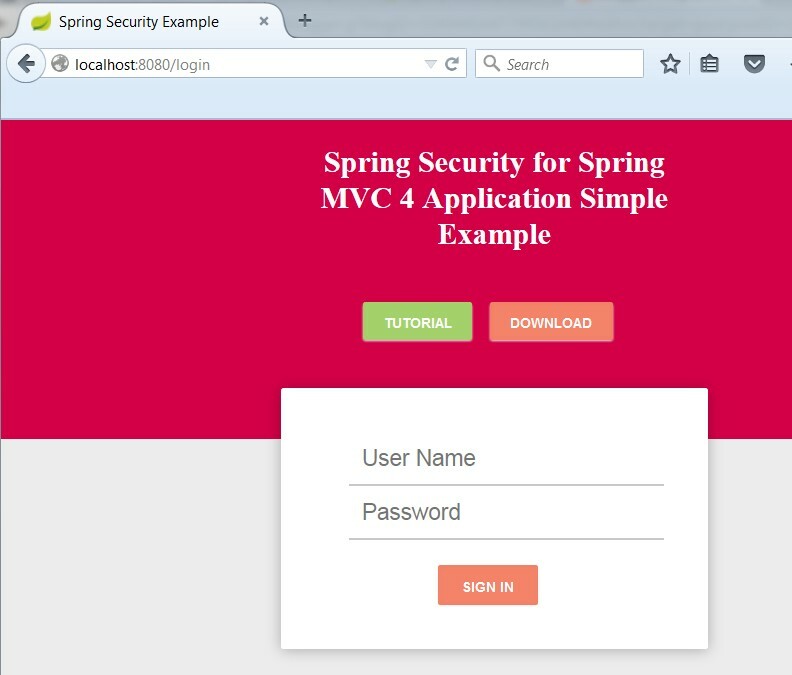 There is one better way of implementing Spring Security which is using Spring Data JPA. You can read the step-by-step guide on the same here.